Managua, Nicaragua was first recorded by Freddy Martin´s orchestra and reached #1 on the Billboard charts in 1947. 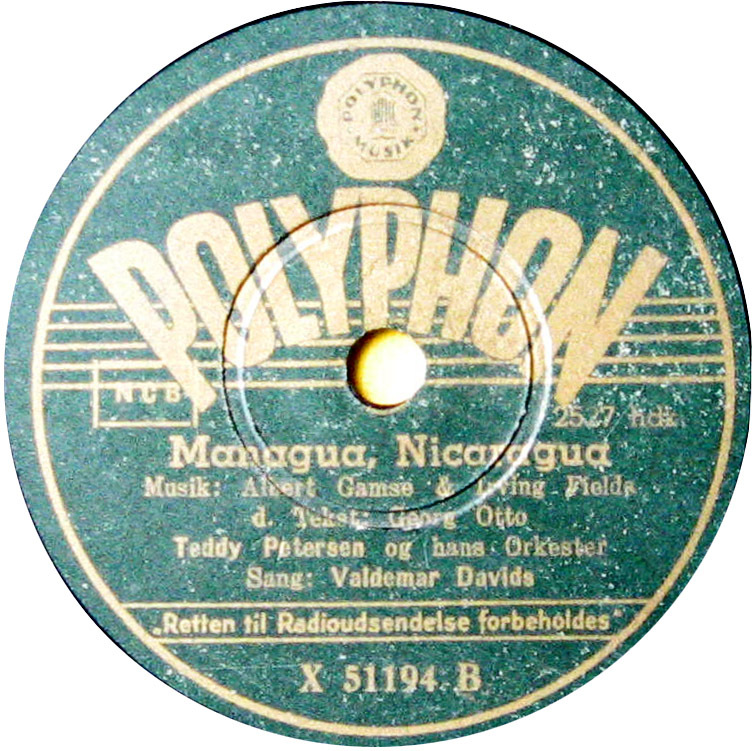 Rita Paul, backed by Walter Dobschinski and his Swingband, did a version sung in English for the Amiga label in 1948. I love Rita Paul but this Danish version, sung by Valdemar Davids, is much better. Danish just sounds much funnier and the fast swinging groove gets me on my feet every time. 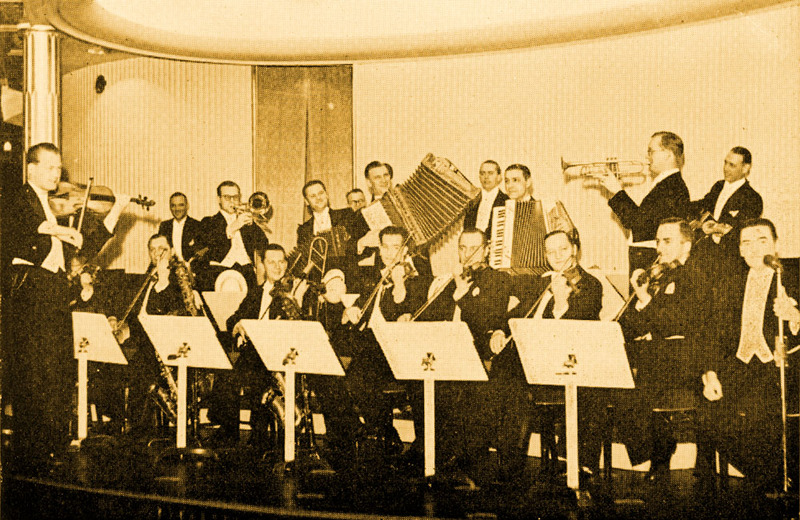 This is a Wikipedia photo of Danish bandleader Teddy Petersen (1892-1991) and his orchestra, probably at restaurant Wivex at Tivoli in Copenhagen in 1941. Petersen is standing to the far left with violin.